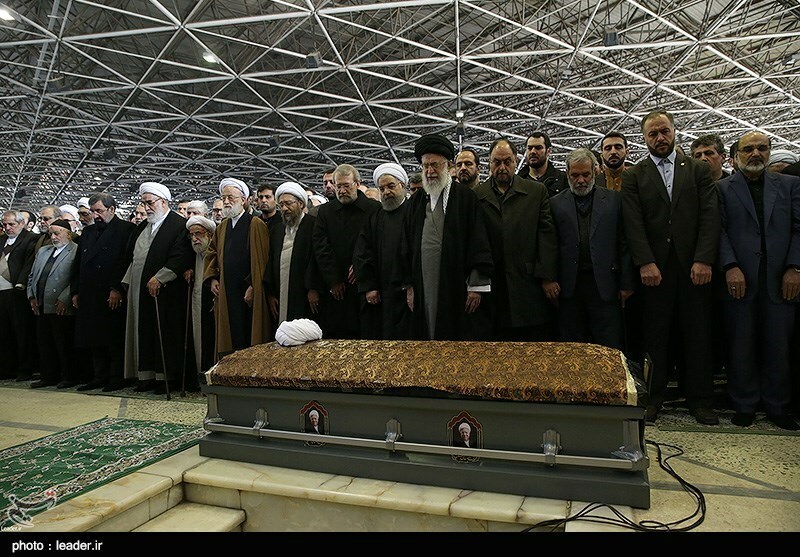 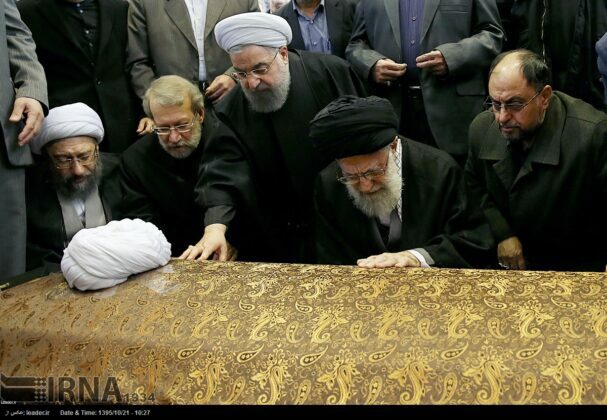 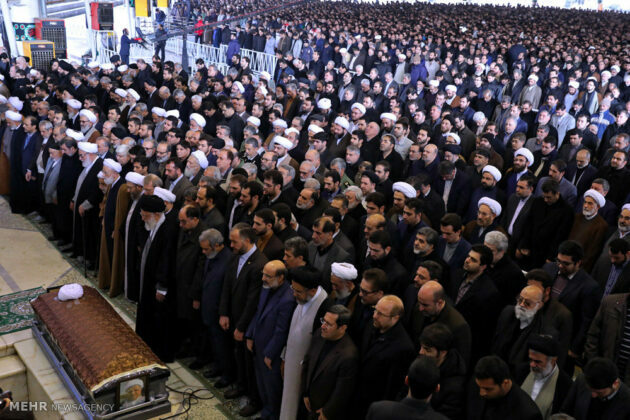 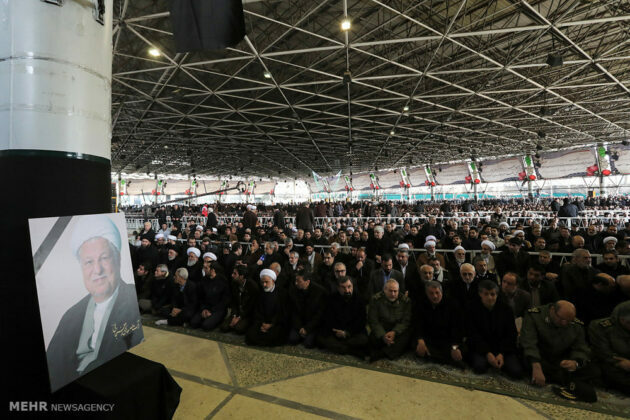 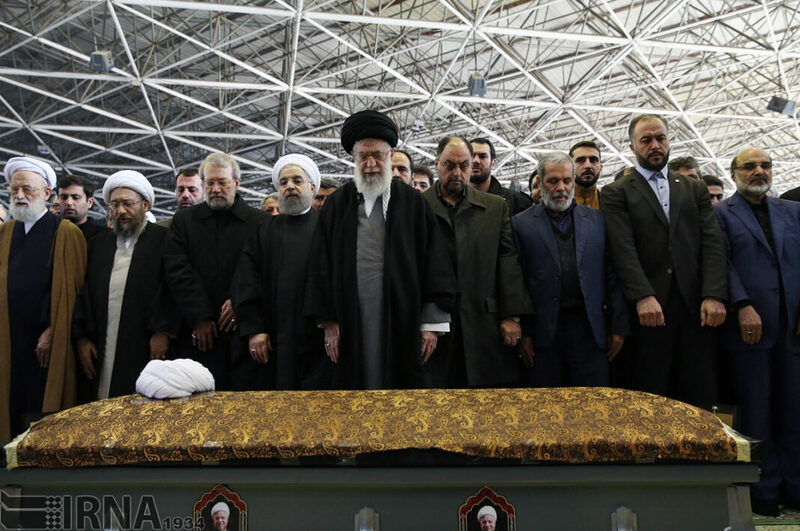 Leader of the Islamic Revolution Ayatollah Seyyed Ali Khamenei performed the ritual ‘prayer for the deceased’ in the funeral ceremony of former Iranian president Ayatollah Akbar Hashemi Rafsanjani on Tuesday. 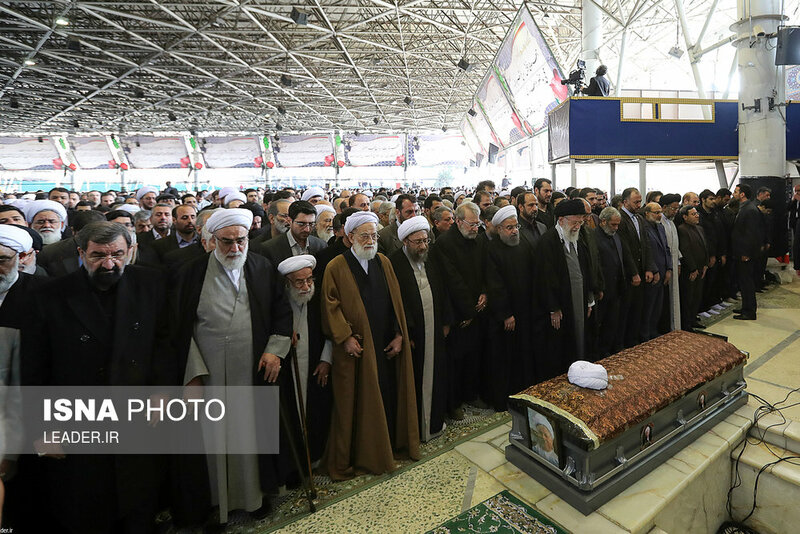 A huge crowd of Iranians attended the funeral of prominent cleric, former president, and chairman of the Expediency Council Ayatollah Rafsanjani at the University of Tehran. Nearly all top Iranian officials, including President Hassan Rouhani, Parliament Speaker Ali Larijani and Judiciary Chief Ayatollah Sadeq Amoli Larijani attended the event.